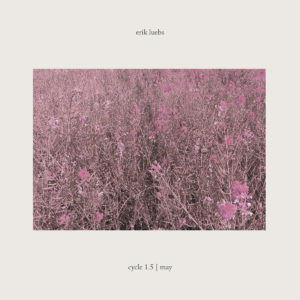 — Erik Luebs shared the latest installment of his Cycle series, the next two tracks representing for the month of May. Previous entries have coaxed words like “woozy” out of me in the past few months, but opener “Concrete Shimmer” takes that haze and adds a real sense of sweltering joy to it. It builds up, each new addition adding to the dizzying feeling, but also never feeling shadowy or unnerving like previous tracks from Luebs. And if you want something a little more uneasy, “Geiger Counter” has you covered in all its skittery wonder. Get it here. — House producer Takeda Soshi often embraces the lo-fi end of that style, but latest track “Shine” makes sure to let a little dazzle in for good measure. The keyboard shimmers snaking through all of this number’s near-seven-minute run give it a liveliness some people obsessed with analog sound can forget, while also making such a long playing track keep the energy up for the whole time. Listen below. — Now, from the lo-fi to the crackling, producer Hideo Nakasako returned with a new number recently called “Mind Film.” It opens with plenty of space, before crackling electronics and discombobulated samples zoom in, giving this one an unsteady pace. The texture, though, is so detailed that it’s easy to just get lost in how crunchy and blunted this all sounds. Listen below.